When The Living Seas opened in 1986, it invited guests to go beneath the waves of the oceans in a variety of inventive and inspiring fashions. The most fondly remembered were the Hydrolators, but they weren’t the only new experience guests were presented with. In fact, even dining was an eventful and educational experience. 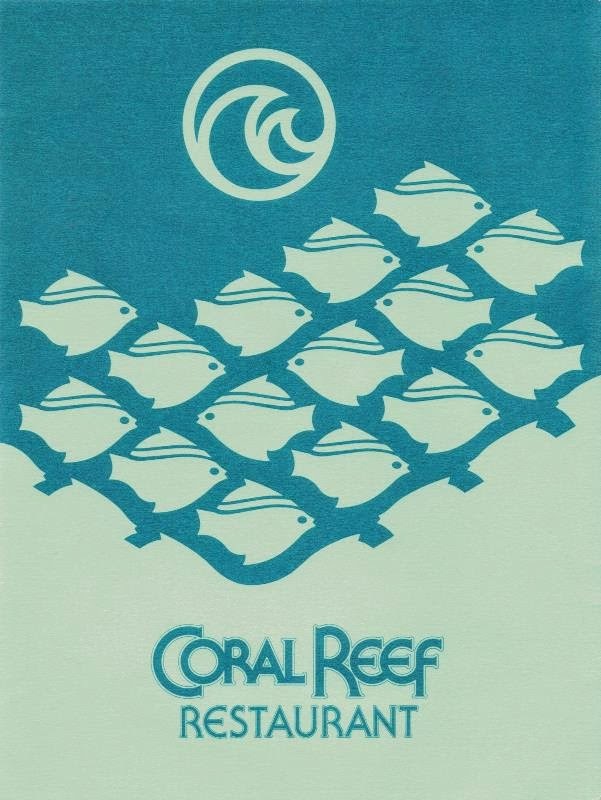 Guests who dined at The Coral Reef Restaurant, a part of The Living Seas complex, were not making reservations for your typical seafood restaurant. What else but the freshest seafood could be served at The Living Seas? Specialties include seafood dishes, shellfish and freshwater fish. The restaurant is actually underwater, so diners can enjoy a spectacular view of the coral reef. The restaurant being underwater is the key to the Coral Reef experience. While we have all certainly dined in our fair share of seafood restaurants with oversized fish tanks scattered about the interior design, Coral Reef put guests in the tank itself. To be fair, at the time of The Living Seas’ opening it was the single largest aquarium in the world, so putting diners in the middle of the action was a no brainer. Giving guests the ability to learn something new, however, is really what made the Coral Reef special. When guests were bought to their table, whether they had a window onto the reef or even towards the center of the dining room, they were presented with their menu and wine list, but they were also given a small pamphlet. Guests could be forgiven for thinking this was a second copy of the Coral Reef’s wine list or perhaps even a dessert or specials menu. In fact, it was a spotting guide. Inside the two page spread, guests were given a visual encyclopedia of the various types of sea creatures that they were dining alongside. 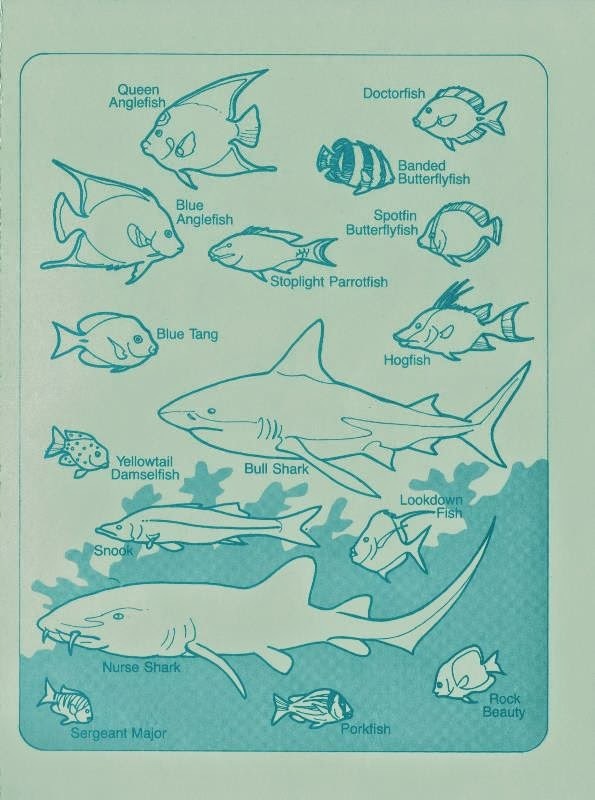 While there is no doubt that the tiger, nurse, and bull sharks, along with the green turtles, were amongst the most sought after dining companions, there is no doubt that someone undoubtedly fell in love with the stoplight parrotfish or the queen angelfish. The guide was no doubt a key component of the meal for children, who would make a game of being able to spot the most number of different types of sea life or keep a weathered eye out for a particular tough to spot banded butterflyfish. 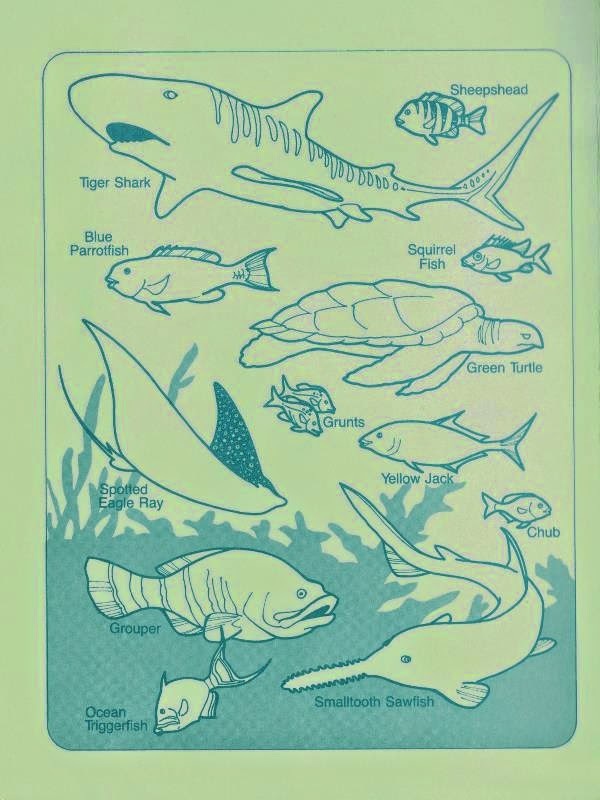 I’m just as certain that a meal at Coral Reef, along with the complimentary spotting guide, led more than one child to go home and begin a journey of study that would lead them to becoming marine biologist. EPCOT Center was renowned for finding innovative ways to educate, and that type of education didn’t stop on the rides or interactive post-shows. The Coral Reef Restaurant took the ability to inform guests about the creatures of the deep and served it up right alongside their mahi mahi.